Discussion in 'Decades, Pop, Rock' started by Wolf, Dec 28, 2008. One of our friends that was there with us said that KC gets $65,000 per gig. That's a big company party. It was. The year after (and every one since) they cut back the budget and just did a DJ. The 38 Special + Lynard Skynard concert is tonight. Also on the bill: ZZ Top!!! The concert was 4 acts and 5 hours or rock n roll (southern rock n roll). Very loud (under speaker). Hope hearing damage is temporary. Gotta remember to bring ear plugs. This is a band which formed in the 70s. They had minor success in 1979 with 2 singles which grazed the top 40 (#26 & #38) and closest they ever came again was #42. The band was surprisingly young and this was because the longest standing member joined in 2012. The lead singer and 2 other guys joined in 2017 after the band put out its last album in 2016. Original members long gone. Didn't really dislike the music but basically 3o minutes of loud noise. They did 6 songs officially but the 3rd one was a medley of about 6 of their biggest hits. After the 5th song they pretended to have time for one more song and played it (Hold On Loosely). Good sound. Enjoyed it. This was the highlight of the evening for me overall. 16 solid rock and roll songs. They too skipped encores that they had done on previous cities (based upon internet searches) and played their encore songs with the main set. Very much enjoyed them. They still have beards although they are now grey. I enjoyed their stuff. They had a good show. Of course their best song was their last (Sweet Home Alabama) and their encore song (Freebird). For Freebird they had a video playing with Ronnie VanZant singing FreeBird while Johnny VanZant did the actual singing on stage (paying tribute to the video screen occasionally). It was very moving and brought both my wife and I to tears. A completely emotional and enjoyable evening. I also got an early anniversary present from my wife ... a ZZ Top tour t-shirt. scotchandcigar and Aaron like this. There was a lot of flooding in the Watkins Glen, NY area lately where the festival is held and officials deemed the water unsafe to drink and thus cancelled the event. I had already spent my $68 to get my streaming pass for all 3 days. The money isn't back on my card yet but I guess it will be soon enough. The poor people who were already in-transit. What a bummer. Cancelling the day before the fest starts is a major deal. Something like 70-80k people show up to these things. Blury, but it's ELO in Detroit. scotchandcigar, IdRatherBeSkiing and JHDK like this. Debated about ELO in Toronto but too expensive for the quality of seats. It was an expensive show. They sounded fantastic, and played all of the hits. The Mrs wanted to go, so I got her tickets for her birthday a couple of months ago. So, you know, that'll happen. When to see Culture Club last night. This time with both my wife and my son who has become a huge Culture Club fan ever since he and his friend heard Karma Chameleon on my playlist. I got him a Culture Club greatest hits CD and he wore it out. We all have t-shirts to prove it. We saw this at the Sony Centre. A smaller venue but much better and more intimat than the ACC (now ScotiaBank Arena) where we saw the Eagles or the Budweiser stage where we saw Skynyrd. We were in back row of balcony but had excellent view and sound. Also not deaf today. We were treated to a Thompson Twin as the opening act. He did all their stuff plus some of his solo work of a new album. I liked one of his new songs. Pretty good. He played for a little over 1 hour. Culture Club was also amazing. Boy George is quite a good concert host. They did most of their hits plus several off their upcoming album being released in October. I love the following song from it. They did it as a part of their encore. The below video was not from last night. On my wishlist for October. JHDK and memebag like this. Culture Club and Thompson Twins... That's awesome! My daughter hates it when Culture Club comes on in the Miata. Dada sings along real loud and enthusiastically. Just a single Twin (Tom Bailey). He did the stuff solo with his all female backup singers, concert musicians. Phish summer 18 tour ended last night with a good show. They played the Bob Marley cover of Mellow Mood that they haven't played since 2011. After their 13 night stint at MSG in 2017, where they never repeated a song, it's rare these days we get an old song that wasn't played in 2017. I paid for and watched 10 shows live for a grand total of $175.96. Money well spent. I enjoyed watching every one. And while it certainly isn't the same thing as going, $175.96 is less than half of what it would have cost me to schlep up to Alpharetta GA to catch that 1 show I was thinking about going to in person. Phish have been doing these live couch tours for a few years now and this was the first I really got into. I had a good enough time that I think I will probably do it again when they start their fall tour. With these webcasts they also offer a T-Shirt. 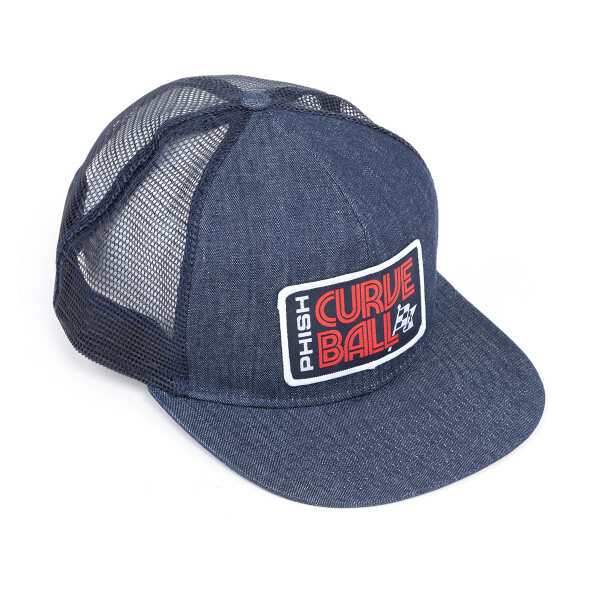 I thought it was dumb to buy a couch tour shirt but then I saw they are also selling Curveball merch. Curveball was the festival that they were forced to cancel 1 day before it was scheduled to start due to flooding in NY. I thought it would be neat to have a hat from the festival the never was so I bought one. It was cheap enough at $20. Another cool thing is I can watch all the shows again. I think it works like once you start a rewatch, you have 48 hours before it expires. Kinda like renting from itunes. I'm not sure if the shows will expire after awhile if I don't ever watch them. I think I'll probably go over the setlists at some point and pick out my favorites of the bunch and give them another watch before the boys go back on tour in a couple months. Add Dan Hill to my list. Wife wanted to go so we went. Nice concert. Going to see musical "Bat Out Of Hell" in a couple of weeks and "Jukebox Hero" in February. Phish fall couch tour starts tonight! They already started the tour in Albany with 2 shows but those weren't webcast. Tonight through Sunday they are in Hampton VA! 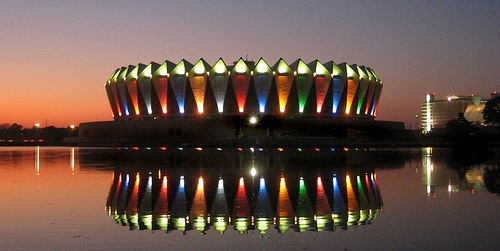 They have a history of putting on AMAZING shows at the Hampton Coliseum. I was lucky enough to see them there back in the aughts. This should be fun times, well worth the $66 for 3 shows. I took a cool photo like that when I was in Vancouver this summer. Would You Pay To See A Classic Rock Hologram In Concert? When I saw Queen last year they had Freddy Mercury almost as a hologram. Was pretty cool but an addition to the concert. Not sure I would go to see just a hologram. I may send my hologram. Dave Matthews and OAR are on my radar...there may be a few others as well, but the future vision is cloudy. Dave Mathews always does a top notch show, both performance and sound wise.